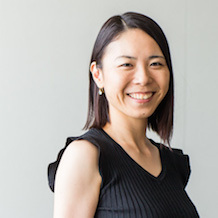 Based in Tokyo, Aya is a leader of the travel investment team for Recruit. She has 7 years of business development experience in the travel industry. With Recruit, she has worked for their domestic services under “Jalan.net”, their outbound services, their OTAs- “ Mytour" ”Travel Book"in SEA, and their global investment team covering Europe, the USA and APAC. Aya started her career with Recruit in 2004. She graduated from The University of Tokyo in 2002 and The University of Tokyo Graduate Schools for Law and Politics in 2004, qualified as a master of International Politics.